Below we have published 15 of our 2019 tourism trends. Much of my “guesstamations” are based on my morning ritual of reading articles online about travel, tourism and traveller statistics, trends, habits, and new technology. This list is not fact nor fiction. It is an educated guess, which when is all said and done, just may be more accurate since there are no politics in the equation. 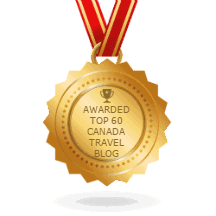 Other factors which I took into consideration when making my tourism list is our (meaning my brother and I) combined 40+ years of boots-on-the-ground experience researching Canada tourism and the many conversations we have had the pleasure of having with thousands of front line tourism businesses coast-to-coast-to-coast. January seems like a good time of the year to share our thoughts on some of the 2019 tourism trends that just may have an impact on our tourism soil this year in Canada. Statistics show that travelers have a 4000 to 1 ratio when researching the internet prior to making their travel decisions. What this means is that travelers are exposed to 4000 informational pieces before they decide on one travel decision. Recently a TrekkSoft 2018 Tourism Survey published that 39% of respondents said that booking last minute is a common trend for 1 to 3 hour tours. While higher priced mulit-day tours, adventures and attractions are being booked further in advance (up to 1 year). 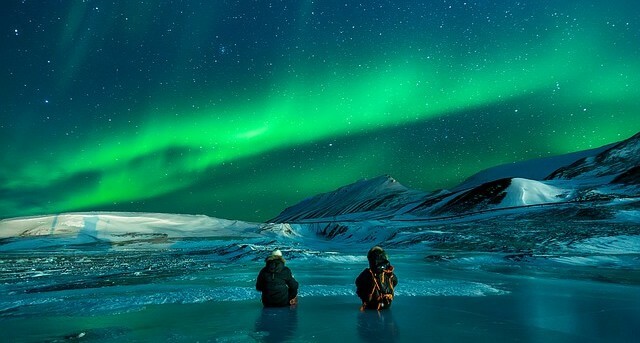 One of the 2019 Tourism Trends gaining traction again this year is the emerging appetite of travelers for more unique experiences when contacting tour operators. It seems that travellers want that one big adventure. The home run. That one-in-a-lifetime experience for the record books and they are willing to pay for it if they must. This is becoming more common among Millennials who want to explore the world and tell their stories. 2 of the 3 most popular products in 2017 and 4 out the 10 fastest-growing experiences in 2017 were skip-the-line tours. What is that you may ask? Well, you pay more to bud in line. When you buy tickets with a skip-the-line-tour for popular attractions and events you do not have to wait in line on your arrival. Skip-the-line tours were also the second-fastest growing category for US travellers in 2018 according to Expedia. 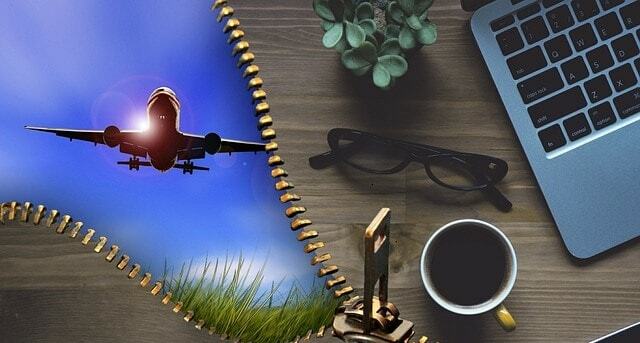 There are so many 2019 tourism trends supporting the effectiveness of content marketing. Content marketing generates over 3 times as many leads as outbound marketing and costs 62% less. Small businesses who have mastered the art of content marketing get 126% more leads than small businesses without. Get this… content marketing generates conversion rates 6 times higher than other methods. We just happen to know about a very successful community content marketing program producing exceptional results with low costs. Wink, wink! When the head of the World Tourism Organization (UNWTO) says that if you are not engaging in the adventure tourism market now you will be left behind… you sort of take notice when the big man speaks right. Adventure tourism has grown over 60% every year since 2013! If you have not caught the adventure tourism wave then start thinking about taking up surfing real fast. Take a good look at your physical inventory in your community because that is what the next generation of travellers want. 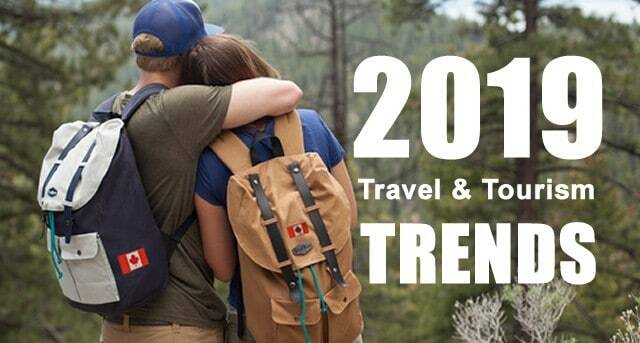 By the way that next generation of travellers, it is the next biggest group of travellers coming our way with fatter wallets and dressed up like adults. Of all the 2019 tourism trends, this one is personal. I can not count how many times I hear tourism businesses complain about how social media is so time consuming and a waste of time. They continue to complain they have not received 1 booking from it. News flash! SOCIAL MEDIA IS AN AWARENESS TOOL not a booking tool. Social media brings attention to your business. Travelers become aware that your tourism business even exists. 52% of Facebook users said that a friend’s travel photos have inspired their own travel plans. So it makes sense to go and make more social media friends. (Source: Webpage FX). Hello! There is Brexit in the United Kingdom and the European Union. That unfortunate mess is going to effect the economy and travel plans for a lot of people in a lot of top tourism countries. The same countries which, normally, would consider Canada as a vacation destination. United Kingdom, Germany, Italy, and France are just some of the countries where we will see a drop in visitations to Canada. Sadly, these are the same countries our Canadian tourism industry relies on. Then there is China and the back and forth political games which are seriously scaring a lot of people in both countries. The sad part about this whole situation is that our Government Tourism Associations have sunk a lot of money into attracting the Chinese tourist to Canada. For many Canadian tourism businesses in popular signature destinations this pending disagreement will have a larger impact than it will on smaller Canadian communities. More and more travellers have their heads buried into their phones or stretched out in front of them taking a selfie. It is pretty obvious many of us live on our phones. People are using smart phones to explore destinations and products more and more every day. Smart phones account for 37% of travelers researching flights and 43% for accommodations. However, only 25% of those surveyed said they book accommodations on their smartphones. But it is during research mode you want to connect with the traveler to get the booking anyway. Just over 1/2 the travelers who live in the U.S., Australia, U.K., and Canada indicated that social media content featuring deals and promotions influenced their decisions. 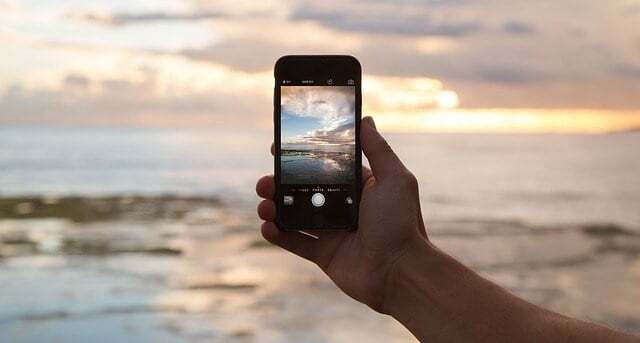 Tourism businesses need to get creative in their deal offerings when posting on social media so to have the traveller seek out their website for all the details. For them to click off the website they are on, the deal needs to resonate with the traveller. Just posting a deal does not cut it. A social media post must be creative because without people sharing your deals your post will die in its tracks. With more and more uncertainty around the world and the stresses of finances, job security and high debt load here in Canada, it seems the talk around the water cooler is that we should all expect to see a spike in more and more mini vacations. Over half of global travellers (53 per cent) report that they plan to take more weekend trips in 2019, which will mean big business for local communities. Some say they will decide on how many 2-3 mini vacations they will be taking as the year rolls by. In order to reduce the risk of not being prepared for a major financial upheaval at home there will be less and less expensive 2 week vacations. A growing trend in tourism is going to be “bleisure” travel. This new buzz word sees people mixing business with leisure. Here are the facts According to Avis Rent A Car. In the survey 87% of business travelers indicated that they plan on mixing business and leisure when travelling. Surprised? Well then get this, 56% of travelers with children are likely to include the family on business trips. Here is a hint. Start with installing really good and reliable internet if you ever plan on attracting this market. Smart phones have been introducing travelers to using fingerprint and facial recognition instead of passwords. No surprise here that bio-metric technology is expanding into airports at check-ins, boarding terminals, and immigration booths in an effort to replace boarding passes and passports. It is already being tested by British Airways. They say in 2019, London Heathrow will launch ‘the world’s largest deployment of bio-metrically enabled products including bag drops and self-boarding gates’. Yikes. Not sure how I feel about this? (13) Doesn’t count as we do not want to bring any bad luck to 2019. One very fast growing sector of tourism is theme accommodations. More across the pond, than here in Canada. Accommodations drawing a big audience are those built into the trees, under the sea, hanging onto the side of cliffs, in snow caves, and even some where travellers can assume a character while staying in a Hobbit Village. What better way to out perform your standard type of accommodation selection in your region than to have an accommodation which also acts like an attraction. A hotel room is a hotel room. Nothing wrong with that. 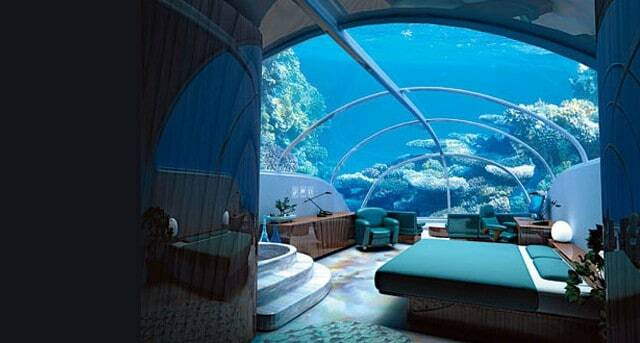 But… a bed in a bubble under the ocean is a whole new level of accommodation. For example, in one survey I recall, 60% of travellers say they wanted to stay in an accommodation under the ocean! I would be one of those travellers. A recent article we posted on our website ehCanadaTravel.com stated that DMOs and RTOs are moving closer to “sameness”. It does not seem to phase them either as they believe they can buy their way out of anything and they just might again? However, as a tourism community, do you really want to “bet-the-farm” and your chances of success on a DMO when you do not have too? The technology is out there now for communities to market themselves effectively. With the right tourism expert, programs and training any community can shape their own destiny, message and brand. Any community can grow how they want to grow. I happen to know one unique tourism expert with a good program or two… wink, wink, wink.